Gray 2016 Toyota Corolla LE FWD CVT 1.8L I4 DOHC Dual VVT-i 2016 Toyota Corolla. 29/38 City/Highway MPG Awards: * 2016 KBB.com Best Buy Awards Finalist * 2016 KBB.com 5-Year Cost to Own Awards BUY FROM AN AWARD WINNING DEALER. Our large inventory and wide selection of models, along with competitive pricing, allows us to make you a great deal on the Toyota of your choice. 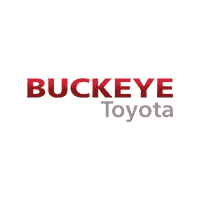 At Buckeye Toyota in Lancaster, our goal is to assist you in making a confident decision. Our friendly, professional sales staff is here to answer your questions and listen to your needs. Whether you're shopping new or pre-owned, we're here to help with your vehicle search. WWW.MYBUCKEYETOYOTA.COM 740-654-3943. Barcelona Red Metallic 2018 Toyota Corolla LE FWD CVT 1.8L I4 DOHC Dual VVT-i 2018 Toyota Corolla. Odometer is 2052 miles below market average! 28/36 City/Highway MPG BUY FROM AN AWARD WINNING DEALER. Our large inventory and wide selection of models, along with competitive pricing, allows us to make you a great deal on the Toyota of your choice. At Buckeye Toyota in Lancaster, our goal is to assist you in making a confident decision. Our friendly, professional sales staff is here to answer your questions and listen to your needs. Whether you're shopping new or pre-owned, we're here to help with your vehicle search. WWW.MYBUCKEYETOYOTA.COM 740-654-3943. Cosmic Gray Mica 2016 Toyota Camry SE FWD 6-Speed Automatic 2.5L I4 SMPI DOHC ABS brakes, Alloy wheels, Electronic Stability Control, Heated door mirrors, Illuminated entry, Low tire pressure warning, Remote keyless entry, Traction control. 2016 Toyota Camry. 25/35 City/Highway MPG Awards: * 2016 KBB.com 10 Most Awarded Cars * 2016 KBB.com 5-Year Cost to Own Awards * 2016 KBB.com 10 Best Sedans Under $25,000 * 2016 KBB.com 10 Most Comfortable Cars Under $30,000 * 2016 KBB.com 10 Best UberX Candidates * 2016 KBB.com Best Buy Awards Finalist BUY FROM AN AWARD WINNING DEALER. Our large inventory and wide selection of models, along with competitive pricing, allows us to make you a great deal on the Toyota of your choice. At Buckeye Toyota in Lancaster, our goal is to assist you in making a confident decision. Our friendly, professional sales staff is here to answer your questions and listen to your needs. Whether you're shopping new or pre-owned, we're here to help with your vehicle search. WWW.MYBUCKEYETOYOTA.COM 740-654-3943. Midnight Black Metallic 2017 Toyota Camry SE FWD 6-Speed Automatic 2.5L I4 SMPI DOHC ABS brakes, Alloy wheels, Electronic Stability Control, Heated door mirrors, Illuminated entry, Low tire pressure warning, Remote keyless entry, Traction control. 2017 Toyota Camry. 24/33 City/Highway MPG Awards: * 2017 KBB.com 10 Best Sedans Under $25,000 * 2017 KBB.com 10 Most Comfortable Cars Under $30,000 * 2017 KBB.com 10 Most Awarded Brands * 2017 KBB.com Best Resale Value Awards BUY FROM AN AWARD WINNING DEALER. Our large inventory and wide selection of models, along with competitive pricing, allows us to make you a great deal on the Toyota of your choice. At Buckeye Toyota in Lancaster, our goal is to assist you in making a confident decision. Our friendly, professional sales staff is here to answer your questions and listen to your needs. Whether you're shopping new or pre-owned, we're here to help with your vehicle search. WWW.MYBUCKEYETOYOTA.COM 740-654-3943. Gray 2018 Toyota RAV4 LE AWD 6-Speed Automatic 2.5L 4-Cylinder DOHC Dual VVT-i 2018 Toyota RAV4. Odometer is 3742 miles below market average! 22/28 City/Highway MPG BUY FROM AN AWARD WINNING DEALER. Our large inventory and wide selection of models, along with competitive pricing, allows us to make you a great deal on the Toyota of your choice. At Buckeye Toyota in Lancaster, our goal is to assist you in making a confident decision. Our friendly, professional sales staff is here to answer your questions and listen to your needs. Whether you're shopping new or pre-owned, we're here to help with your vehicle search. WWW.MYBUCKEYETOYOTA.COM 740-654-3943. Magnetic Gray Metallic 2018 Toyota RAV4 XLE FWD 6-Speed Automatic 2.5L 4-Cylinder DOHC Dual VVT-i ABS brakes, Active Cruise Control, Electronic Stability Control, Front dual zone A/C, Heated door mirrors, Illuminated entry, Low tire pressure warning, Power moonroof, Remote keyless entry, Traction control. 2018 Toyota RAV4. BUY FROM AN AWARD WINNING DEALER. Our large inventory and wide selection of models, along with competitive pricing, allows us to make you a great deal on the Toyota of your choice. At Buckeye Toyota in Lancaster, our goal is to assist you in making a confident decision. Our friendly, professional sales staff is here to answer your questions and listen to your needs. Whether you're shopping new or pre-owned, we're here to help with your vehicle search. WWW.MYBUCKEYETOYOTA.COM 740-654-3943. Salsa Red Pearl 2018 Toyota Sienna XLE 7 Passenger FWD 8-Speed Automatic 3.5L V6 SMPI DOHC ABS brakes, Active Cruise Control, Bumpers: body-color, Compass, Electronic Stability Control, Front dual zone A/C, Heated door mirrors, Heated Front Bucket Seats, Heated front seats, Illuminated entry, Leather Seat Material, Low tire pressure warning, Power door mirrors, Power Liftgate, Power moonroof, Remote keyless entry, Roof rack: rails only, Spoiler, Traction control. 2018 Toyota Sienna. 19/27 City/Highway MPG BUY FROM AN AWARD WINNING DEALER. Our large inventory and wide selection of models, along with competitive pricing, allows us to make you a great deal on the Toyota of your choice. At Buckeye Toyota in Lancaster, our goal is to assist you in making a confident decision. Our friendly, professional sales staff is here to answer your questions and listen to your needs. Whether you're shopping new or pre-owned, we're here to help with your vehicle search. WWW.MYBUCKEYETOYOTA.COM 740-654-3943. Midnight Black Metallic 2018 Toyota Highlander LE AWD 8-Speed Automatic Electronic with ECT-i 3.5L V6 ABS brakes, Active Cruise Control, Alloy wheels, Electronic Stability Control, Heated door mirrors, Illuminated entry, Low tire pressure warning, Remote keyless entry, Traction control. 2018 Toyota Highlander. BUY FROM AN AWARD WINNING DEALER. Our large inventory and wide selection of models, along with competitive pricing, allows us to make you a great deal on the Toyota of your choice. At Buckeye Toyota in Lancaster, our goal is to assist you in making a confident decision. Our friendly, professional sales staff is here to answer your questions and listen to your needs. Whether you're shopping new or pre-owned, we're here to help with your vehicle search. WWW.MYBUCKEYETOYOTA.COM 740-654-3943. New Price $2,400 Below Retail. Silver 2016 Toyota Tundra 4WD 6-Speed Automatic Electronic with Overdrive 5.7L 8-Cylinder SMPI DOHC. 2016 Toyota Tundra. BUY FROM AN AWARD WINNING DEALER. Our large inventory and wide selection of models, along with competitive pricing, allows us to make you a great deal on the Toyota of your choice. At Buckeye Toyota in Lancaster, our goal is to assist you in making a confident decision. Our friendly, professional sales staff is here to answer your questions and listen to your needs. Whether you're shopping new or pre-owned, we're here to help with your vehicle search. WWW.MYBUCKEYETOYOTA.COM 740-654-3943. Prices do not include additional fees and costs of closing, including government fees and taxes, any finance charges, any dealer documentation fees, any emissions testing fees or other fees. All prices, specifications and availability subject to change without notice. Contact dealer for most current information A documentary service charge of $250 will be added to all vehicle purchases. All rebates and incentives through Cincinnati TDA. All prices exclude tax, tags, title, registration fees and documentary service charges. Prices include rebates and incentives. College grad and military rebates are not included. *These estimates reflect new EPA methods beginning with 2008 models. Your actual mileage will vary depending on how you drive and maintain your vehicle. Actual mileage will vary with options, driving conditions, driving habits and vehicle’s condition. Mileage estimates may be derived from previous year model. By submitting your contact information, you consent to be contacted by telephone about purchasing a vehicle or obtaining vehicle financing. Clicking on the Submit button above is your electronic signature.